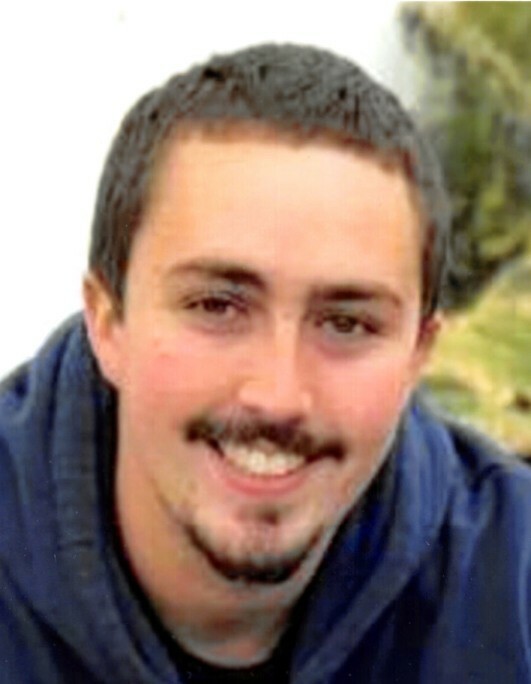 OXFORD – Michael Keith Hokanson-Dion, 26, died suddenly on Saturday, March 16, 2019, of a heredity-related heart attack. Michael was predeceased by his father, Keith Michael Dion who passed in 2000. He is survived by his mother, Patricia A. Hokanson; his sister, Ashley Hokanson; his girlfriend, Sabrina Noel; his son, Brantley Keith; his grandmother, Carol Oberg; his cousins, Danielle, R.J., Bobby, Dawn, and Danielle, as well as several other cousins, aunts, and uncles; and all his friends. Michael also leaves behind his pets, Trooper, Fishyfish Priscilla, Tarzan, Charlie, Saniesha, Panther, Guinness, and Bailey. Michael loved fishing, his mustang, and having tons of pets. He was a fiercely loyal boyfriend, father, son, brother, and friend. He could fix or build anything and loved helping everyone with projects. To Michael, where there was a will there was a way, and he was profoundly resourceful. Michael had the biggest heart. Everyone that met him immediately loved him. Kindness and compassion radiated off of him. To call Michael a good person doesn’t do him justice – he was the very best person. Michael’s greatest joy was his son Brantley, who just turned one year old. Michael’s beautiful and loving soul lives on in his son, whose smile can light up a room. Michael graduated from Bay Path Regional Vocational Technical High School and received his associate’s degree from New England Technical Institute in Rhode Island. He worked at Chase Corp in Oxford as a machine operator and he was currently in school at the I.B.E.W. Local 96 J.A.T.C. apprentice program to become an electrician. He unknowingly had just received a paid apprenticeship on the day of his death. A funeral service will be held at 10 a.m. on Friday, March 22, 2019, at Paradis-Givner Funeral Home, 357 Main St., Oxford. Burial will follow at St. Roch’s Cemetery in Oxford. Calling hours are Thursday, March 21, 2019, from 4-8 p.m. at the funeral home. In lieu of flowers, memorial contributions may be made to the Brantley Keith Hokanson-Dion Fund, c/o bankHometown, 31 Sutton Ave., Oxford, MA 01540. If you want to pay tribute to Michael, feel free to wear a flannel shirt in his honor. When feathers fall and the sun shines, we know you’re with us. Always in our hearts is an empty space. Watch over us with lots of love. And make sure to catch a big fish with your dad.